Happy Endings: Coincidence or Conspiracy? The women in my bell choir have a theory that professional sports are rigged. Whatever teams will bring in the most viewers, and therefore the most money, will end up in the finals. I’m not sure what my stand on this is, but there is some convincing evidence. 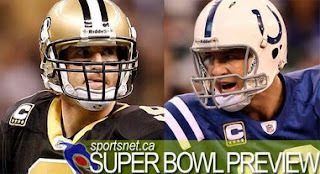 Take, for example, this year’s Superbowl XLIV: how long ago did sportscasters predict that the Colts would face the Saints? Of course, this was easy when both teams were undefeated in the first half of the season. But, clearly, the Saints were favored because of Katrina. The Saints won some very questionable calls when they faced the Vikings. Granted, the Vikings made big mistakes, yes, but momentum was given to the Saints on a silver platter because of favorable refereeing. After the Vikings were out of the game, all eyes turned to the Saints…not the Colts. If you turned on the TV before the game began, can you believe how much time was dedicated to the Saints and New Orleans and all of their background stories about rebuilding and community and love? SO blatant! We knew the Saints would win. 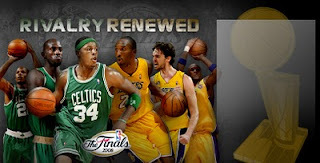 For example, the NBA 2008 finals: how long before the finals did sportscasters mention that the final teams would be the Lakers and the Celtics? The commercials were already playing mid-season! Granted Kobe never fouls and the Lakers do have talent (since they were in the finals twice in a row). But, still...is the NBA rigged? These two matchups are the most obvious, but I am sure there are other “coincidences” within pro sports. What do you think? Are pro sports rigged or not? P.S. And on another note, was anyone as disappointed in the commercials as me? There were cars and CBS promos with one or two Doritos. BORING! There was so much hype and no delivery whatsoever. P.S.S. The Who are awesome!